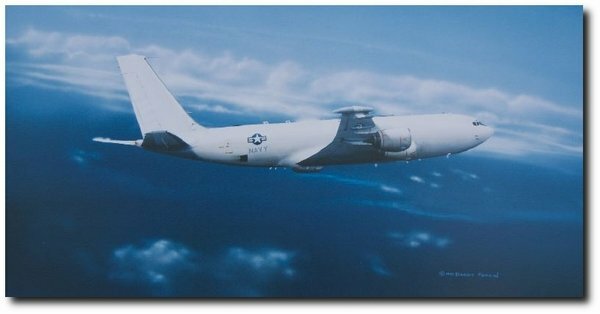 Overall Size: 25" X 15"
Image Size: 23" x 12"
The United States Navy's E-6A "Mercury" Communication platform. The E-6 is the airborne portion of the TA Communications System. It provides survivable communication links between the National Command Authority (NCA) and Strategic Forces.